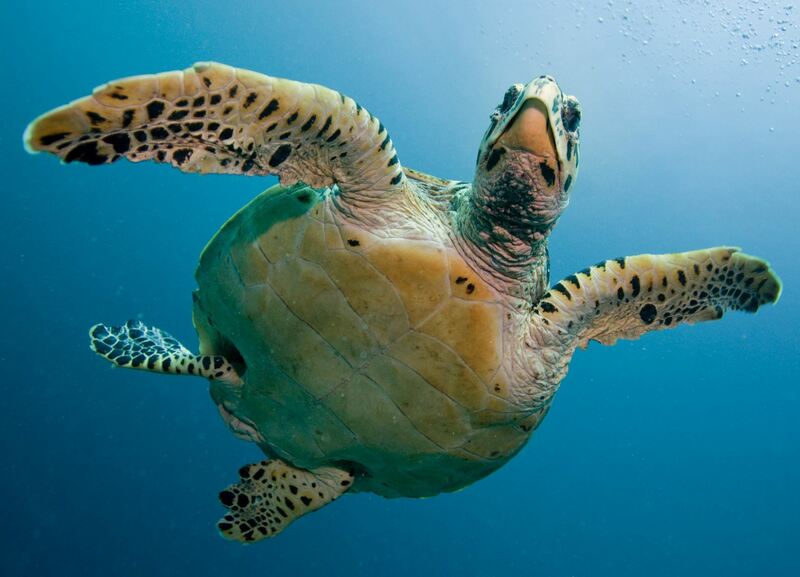 A rare olive ridley sea turtle called Barnacle has checked out of the Jumeirah Group’s new Al Naseem hotel along with more than 70 critically-endangered hawksbill turtles. Barnacle and his fellow turtles, who were being cared for at the property’s turtle rehabilitation lagoon, have now been returned to the warm waters of the Arabian Gulf. Children from the Dubai British School purchased a special satellite tag for Barnacle, which will enable them to track her progress online. The youngsters were invited to the release to learn more about the Dubai Turtle Rehabilitation Project (DTRP) and wave the turtles off from the beach by Jumeirah Al Naseem. “There are very few olive ridleys nesting in Arabia and all of them nest on Masirah Island in Oman. This is the first time an Olive Ridley has been tagged in the UAE and we are all very excited to discover where she will travel to next,” explained Warren Baverstock, the aquarium operations manager at Burj Al Arab, the seven-star hotel that is also part of the Jumeirah Group. Barnacle was rescued several months ago and was suffering from positive buoyancy, which meant the turtle was constantly floating high up in the water. After spending time in the turtle rehabilitation facilities at Burj Al Arab Jumeirah, the DTRP team moved her into the turtle lagoon at Jumeirah Al Naseem and within three weeks she could swim at the correct level. This latest release brings the total number of turtles returned to the wild since the project began in 2004 to 1,175. All the turtles have been rescued from the shores of the UAE by members of the public and nursed back to health by the DTRP, one of the longest standing Corporate Social Responsibility initiatives in the region and the only project of its kind in the Middle East. All the turtles started their rehabilitation at the facilities within Burj Al Arab Jumeirah and then moved to the new turtle lagoon at Jumeirah Al Naseem prior to release.